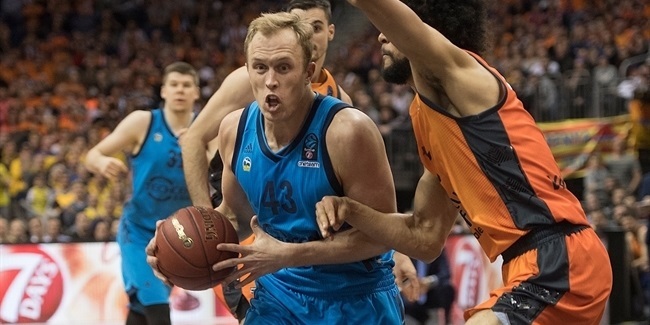 Banvit Bandirma added a new win to its column this round to co-lead Group G, and the main factor for this success was none other than Adrien Moerman, who thanks to a performance index rating of 38, the highest this week overall, became the weekly MVP. 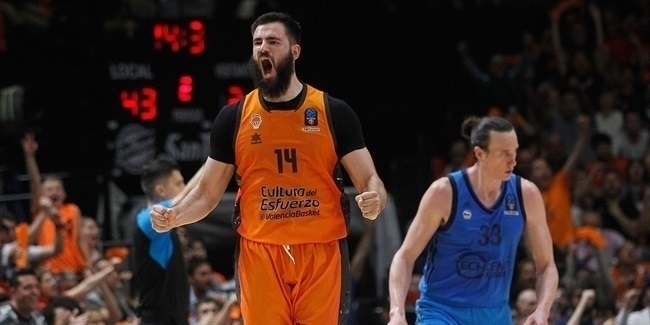 Moerman scored 19 points with almost no miss (3 of 3 twos, 3 of 4 threes and 4 of 4 free throws), pulled 14 rebounds (carrer high for him), dished 1 assist, had 1 steal, 2 blocks and drew 4 fouls in a great all-around performance, his personal best in the Eurocup. Next in line was Victor Rudd of Nizhny Novgorod with his index rating performance of 31, which included 28 points, 7 rebounds, 2 assists and 7 drawn fouls. Dairis Bertans of Dominion Bilbao Basket had an individual performance of 30 to complete the podium of the week. Rudd also happened to be the top scorer this week with his 28 points. Two players followed him with 25 points apiece: Jerel McNeal of Aris Thessaloniki and Vladimir Micov of Galatasaray Odeabank Istanbul. Two players dominated the glass with no opposition this week, collecting 15 rebounds each: Jonathan Brockman of MHP Riesen Ludwigsburg (6 defensive, 9 offensive) and Richard Dorsey of Galatasaray (7 defensive and 8 offensive). 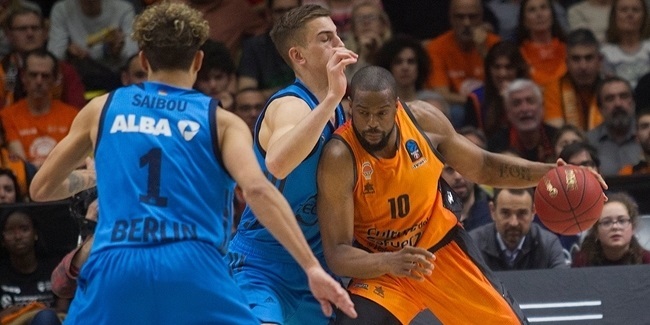 Courtney Fortson of Banvit was the best passer this week thanks to his 11 assists, and Albert Oliver of Herbalife Gran Canaria Las Palmas followed with 10. In the defensive end, no player was alone at the top of the steals rankings, as several players collected 4 of them. In the blocks category however, two players had 3 apiece to lead the rankings: Mateusz Ponitka of Stelmet Zielona Gora and Gasper Vidmar of Banvit.